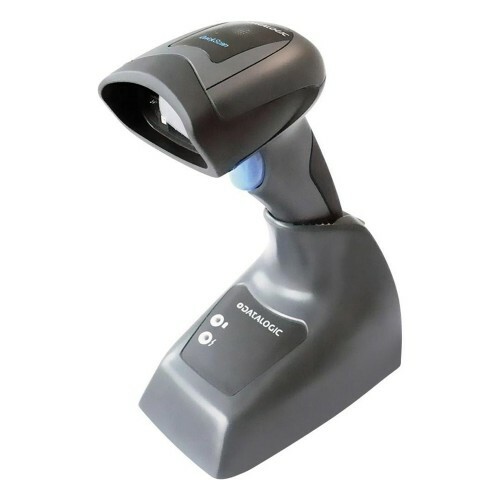 Ideally suited for applications at the point-of-sale (POS), the QuickScan QBT2400 imager features a new illumination and aiming system developed with the unique intent to reduce visual stress of the operator during daily scanning activities. It consists of a soft, dark red illumination combined with two blue LED triangles pointing at the targeted barcode. Datalogic QuickScan I QBT2400 - USB Kit. 2D Imager, Bluetooth/USB interface. Includes USB cable. Datalogic PowerScan PBT9500-HP The PowerScan PBT9..
Honeywell Xenon 1900 High Dens..
Honeywell Xenon 1900 The Honeywell Xenon 1900 is ..
Motorola DS4208 - USB Kit, 2D ..
Motorola DS6878 - SCANNER ONLY.. 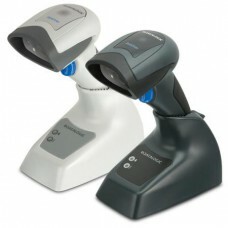 Eliminates the need to purchase multiple types of ..
Motorola DS457-HD - SCANNER ON.. The next-generation fixed mount imagerEnable high-..
Motorola DS6878 - USB Kit, 2D ..
Motorola DS6708 - SCANNER ONL.. High-quality data and image capture!The handheld D..
Reduce costs and increase sales with the applicati..
Motorola DS3508 - USB Kit, 2D ..
Ability to read both 1D and 2D Barcodes The Motor..
Pegasus PS3256,2D Imager,Bluetooth Station,No Stan..
Pegasus PS3256,2D Imager,BT Dongle, Barcode Scanne..